Wateen Telecom will be participating in the CEO Summit Asia, aimed at discussing and improving the role of leadership in business and economic growth in Pakistan. The summit will provide unique opportunities for CEOs and business leaders to discuss the opportunities present in Pakistan today and establish mutually beneficial connections. The CEO Club of Pakistan & Manager Today Magazine will host the summit as part of their commitment to promoting the growth of Pakistan’s economy and encouraging business in Pakistan. One of the aims of the summit is to discuss means of developing and aiding entrepreneurship as a way to increase employment and provide employment alternatives for Pakistan’s young job market. The Summit will also focus on exploring the potential global markets and boosting Pakistan’s exports. Wateen Telecom will participate in the Summit and talk about Wateen Telecom’s historic turnaround in the last year and the immense amount of success it has achieved over the years that has helped change the face of internet provision and service in Pakistan. Wateen Telecom is strong supporter of independent entrepreneurs and aim to provide businesses with the resources they need to compete today. They also believe that strong, value based leadership represents the future of business in Pakistan. The Summit will also explore business decisions and policy choices based on currents trends and will be held in Marriot Karachi on November 27th, 2013. Technology, especially the internet and the global revolution that it has brought, has and will continue to change our lives. Wateen aims to give the Pakistani community a tremendous boost in terms of access to resources on their fingertips. The news appearing in media that Etisalat has made an offer to acquire Transworld and its operations in Pakistan is incorrect. Etisalat has not made any such offer nor is the Board of Directors considering any such offer at this time. Such fabricated news can negatively impact Transworld business relationships & the confidence of its customers. Transworld management further emphasizes that it reserves the right to take legal action against anyone disseminating fabricated news that can impact its business and the confidence of its customers. 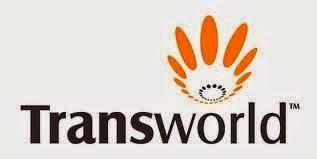 Transworld is an Orascom Telecom Group company and is Pakistan’s 1st privately owned Tier 1 international communication gateway. Transworld infrastructure consists of a submarine global network that extends from Europe to Far East with landing in Pakistan. It provides internet and international communication services to ISP’s, Telco’s and major multinational corporate clients. 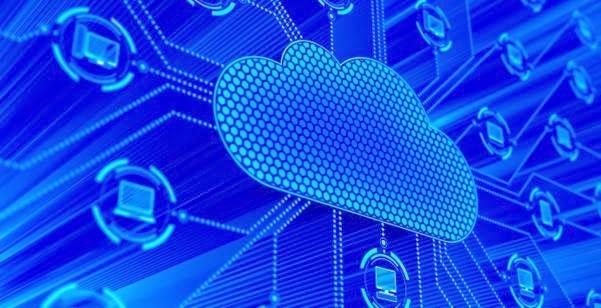 It is the market leader for premium products like IP Transit, IPLC, MPLS and Data-Center services in Pakistan. Transworld remains the preferred choice of customers for being Pakistan’s number 1 backhaul internet service operator. In a meeting held today by Education Fund for Sindh (EFS), EFS provided a commitment of PKR 284.3 million to BRAC Pakistan under one of its programmes, which supports sustainable partnerships for providing quality education in underprivileged communities of Sindh. The agreement provides for establishing 700 schools in the districts of Karachi, Khairpur and Qambar Shahdad Kot for 21,000 children, with special focus on girls’ education, where they will get an opportunity to pursue quality education. The agreement will remain valid for one year and will be renewed on an annual basis. This outreach programme establishes schools in far-flung and under-privileged areas of Sindh to provide education to out of school children who would not have had a chance to attend school otherwise. Education Fund for Sindh (EFS), is a not-for-profit company (a company set up under section 42 of the Companies Ordinance, 1984) which addresses the current education crisis in Pakistan through a multi-faceted strategy that focuses on grass-root level support to families, capacity building of schools and NGO partnering for extensive reach of its programs that focus on identifying out of school children and providing access to school education. EFS’s primary funding partner at the moment is the UK Government’s Department for International Development (DFID), with which EFS is a listed project. Under the Intermediaries programme EFS provides access to education by funding existing private educational organizations in Sindh and the key to this programme is to gain synergies in leveraging existing infrastructure. Additionally, EFS will also aim to build capacity of intermediaries to meet demand requirements. Speaking at the ceremony, Khawaja Adeel Aslam, CEO – EFS, shared the vision of the organization, “Our dream is that every child in Pakistan has access to good quality, cost effective education”. He emphasized the importance of this programme, “this partnership between EFS and BRAC Pakistan holds great promise as a model for addressing the education crisis in Pakistan. EFS is committed to provide as much support as possible to the programme to increase the number of children who get free school education under this program in the coming years”. “On a global level, BRAC specializes in providing education to the under-privileged children in the most stricken regions. Together we can significantly improve the education scope in Pakistan by making sure that every child attends school from an early age. At EFS, providing quality education to out of school children is our primary goal. Every child deserves education and a better future; we hope that our support will help children to fulfill their dreams”. He further added, “We at EFS are grateful to DFID which not only is our primary funding partner, but also played a key role in facilitating this partnership between EFS and BRAC Pakistan”. Speaking at the occasion Mr. Muzaffar Ud Din – CEO / Country Representative BRAC Pakistan said, “Firstly, I must congratulate both the parties on this significant alliance for the overall betterment of Pakistan and the education sector in particular. There is a lot of work to be done both in terms of reach and quality of education in Pakistan, our initial project aims to provide free education to 21,000 children of which majority will be females. The idea behind ensuring children attend school is not just to educate, but also to develop communities that are healthy, crime-free and self-subsistent on a long term basis”. According to UNICEF and UNESCO Institute for Statistics approx. 6.5 million children in Pakistan are out of school indicating that a large number of children of primary school going age are not enrolled in schools as they can’t afford it. In this “state of emergency”, the alliance between EFS and BRAC Pakistan is certainly a leap towards development and a beacon of light for the future generation of Pakistan. 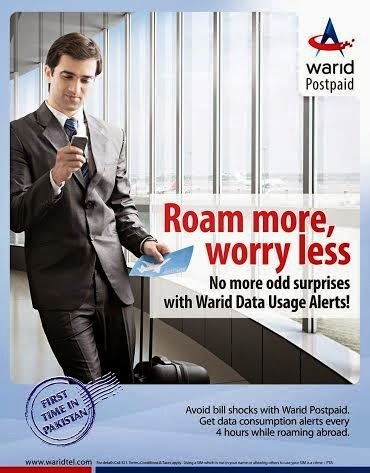 This exciting service, recently launched by Warid Telecom,allows its Postpaid subscribers to get free data usage alerts while roaming abroad. This service will be a great help to such users who keep their data services active during International roaming. Now they will be able to get timely alerts so they can keep a check on their data usage and can roam around without worrying about their bill. Postpaid customers using data roaming can avail this service free of cost. To unsubscribe from this service customers simply have to dial 321 to talk to Warid’s Customer Service Representative and unsubscribe this service. To commemorate Allama Iqbal Day, Warid Telecom has launched the Poetry Junction service to entertain and capture the interest of all poetry lovers of Pakistan. Poetry is the art form which is read, heard and appreciated by all segments of the society and receives special appreciation in literary circles. Through this service Warid aims to provide a platform to all poetry lovers to listen and record poetry in their own voice. Subscriber to the poetry junction service will be able to listen to poems, ghazals or any kind of poetry to their loved ones. Subscriber can also listen to audio documentaries, dictionary, and poetry explanation. Warid subscribers have to dial 7878 to activate this service. Warid’s poetry junction service is available for both Prepaid and Postpaid subscriber. IVR charges for prepaid customers are Rs. 0.20+ tax per minute and rental charges are Rs. 0.50 + tax per day. Subscription charges for postpaid are Rs. 15.00+ tax per month and IVR charges are Rs. 0.20+ tax per minute. Wateen Telecom, Pakistan’s leading converged communication service provider, has been selected by the Board of Revenue (BOR) Punjab, as its partner for enabling the Land Record Management Information System of the Government of Punjab. The Board of Revenue (BOR) Punjab is the Controlling authority in all matters connected with the administration of revenue collection including land taxes, land revenue, preparation of land record and other matters relating thereto. PMU (project management unit) of BOR is mandated to computerize land ownership and revenue records in the province of Punjab. The project will provide increased access to land records at lower transaction cost for the beneficiary, through a client-responsive service and increased level of tenure security of land-right holders. BOR with an objective of improving and modernizing the system of maintenance of Land Revenue Records in the province of Punjab, was looking for a solution to set up Service Centers in all the districts and Tehsils of Punjab. This could be only achieved through highly secure and reliable Communication between Provincial Data Centre and Service Centers, comprising end to end Managed Operations. Following its vision of enabling ‘Every man, woman and child in the country through leading edge technology and services, thereby transforming their lives’, Wateen Telecom is geared to enabling the Project Management Unit’s (Board of Revenue) vision to establish an efficient, accountable, equitable and secure Land Records Management & Information System for the Government of Punjab. BOR decided to build its WAN network and required feasibility for connectivity of 143 branches countrywide. Wateen was selected due to its extensive network footprint in Pakistan, operational support and better service quality. Our end-to-end fiber optics facility will provide BOR a secure and efficient network to carry out its services. Under the contract, Wateen will also provide Managed Service and Network management using our state of art ENOC (Enterprise Network Operations Center) facility. Wateen Solution will procure, install, configure and managed the Branch router for Land Record Management & Information System of Government of Punjab. “We always act as a trusted advisor for our customers. This is a very strategic win for Wateen which proves that Wateen is the only Service Provider in Pakistan, who can provide end to end ICT service to our valuable customers” - Hamid Mohiuddin GM, Enterprise Business Unit.